United Engineers' Construction Management Department is managed and staffed by highly qualified engineers, inspectors and support staff. Staff experience includes a variety of projects such as underground utilities, roads, bridges and highways. Construction management activities include project management, project inspection, constructability reviews, construction administration, claims services and quality assurance inspection services. Whether we are alone or part of a team, UEI's Construction Management Department approaches each job with a primary goal of completing the project on time and within budget. Equipped with a variety of tools and latest softwares, the Construction Management Department is capable of providing a full range of Project Management services from concept development through design, procurement and construction to turnover/commissioning. United Engineers, Inc. Project Team, using the latest project management software, communicates efficiently, saving valuable time and money resources. 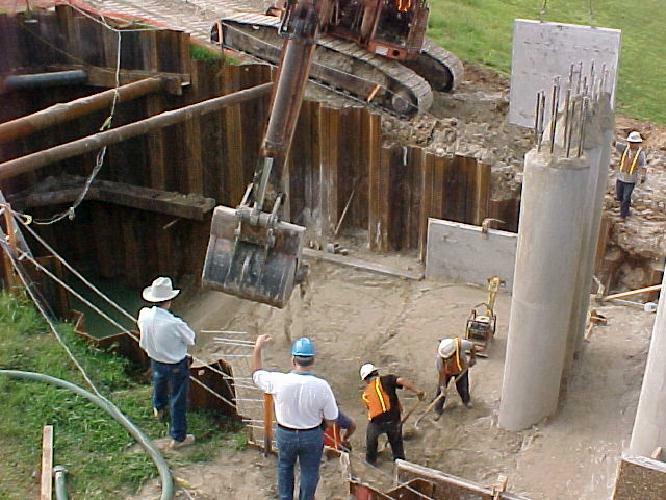 The stakeholders, led by UEI, can realize significant savings in time and money by utilizing tools such as a well-defined scope and submittal schedule, regular meetings to resolve difficulties rather than relying solely on RFI process, early involvement with the project, and a "hands on" approach to scheduling, equipment delivery and installation.